Registration authorities exist for many standards organizations, such as ANNA, the Object Management Group, W3C, IEEE and others. In general, registration authorities all perform a similar function, in promoting the use of a particular standard through facilitating its use. This may be by applying the standard, where appropriate, or by verifying that a particular application satisfies the standard's tenants. Maintenance agencies, in contrast, may change an element in a standard based on set rules – such as the creation or change of a currency code when a currency is created or revalued. The Object Management Group has an additional concept of certified provider, which is deemed an entity permitted to perform some functions on behalf of the registration authority, under specific processes and procedures documented within the standard for such a role. 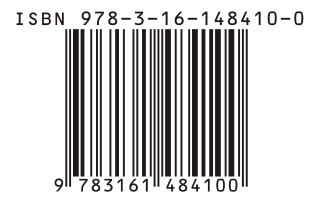 The International Standard Text Code (ISTC) is a unique identifier for text-based works. The ISO standard was developed by TC 46/SC 9 and published in March 2009 as ISO 21047:2009. The authority responsible for implementing the standard is The International ISTC Agency. ISO 639-5:2008 "Codes for the representation of names of languages—Part 5: Alpha-3 code for language families and groups" is a highly incomplete international standard published by the International Organization for Standardization (ISO). It was developed by ISO Technical Committee 37, Subcommittee 2, and first published on May 15, 2008. It is part of the ISO 639 series of standards. In the Dutch research system, the Digital Author Identifier (DAI) system assigns a unique number to all academic authors as a form of authority control. The DAI links the PICA database in institutional libraries with the METIS national research information system. ISO 7064 defines algorithms for calculating check digit characters. 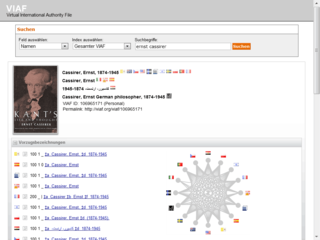 E-Theses Online Service (EThOS) is a bibliographic database and union catalogue of electronic theses provided by the British Library, the National Library of the United Kingdom. As of March 2018 EThOS provides access to approximately 480,000 doctoral theses awarded by over 140 UK higher education institutions, with around 3000 new thesis records added every month. ↑ "ISNI" . Retrieved 19 December 2014. ↑ "About the ISNI International Agency" . Retrieved 19 December 2014. 1 2 "Members". ISNI. Retrieved 2018-07-16. 1 2 3 4 5 6 7 "ISNI". www.isni.org. Retrieved 19 April 2018.